Admit it, you have an inquiring mind,​ and you want to know about the team building your Flathead Valley dream home. ​We understand the inclination. So we decided to bring you Shop Talk, conversations with the talented pros designing, building, and outfitting your homes. Complete Project Resource provides effective construction management services to clients from all over the world with integrity and professionalism. We serve the Rocky Mountain region, but have primarily worked throughout Montana and Wyoming. I am a graduate of Yale University with a degree in Political Science. I also have a Masters in Business Administration (MBA), and a Masters in Real Estate & Construction Management (MRECM) from the University of Denver Daniels College of Business. Over the last 22 years, I have been involved in construction development of all kinds as an owner, developer, project manager, consultant, and owner’s representative. I learned these trades working on the development of spec homes in Jackson Hole in the mid-‘90s. This work evolved into roles participating in the planning and development of ski resorts, clubs, golf courses, corporate retreats, ranches, hospitals, wastewater facilities, and dozens of private residences. I started CPR in 2005 to fill a void I saw in the marketplace to serve remote clients more effectively. I’ve been working in this capacity ever since. All of my projects are exciting and special to me. That said, I am thrilled to currently be working in Whitefish on a project on Whitefish Lake. It is my first project in Whitefish and I have enjoyed getting to know the trades there and familiarizing myself with the area and its beautiful amenities. I am also working on a Wellness Center in Paradise Valley, Montana, which is great fun. I truly enjoy unique and challenging projects and our clients always find a way to push new boundaries. I let the professionals do what they do best and get out of their way. Then I work to coordinate, organize, manage, and communicate the efforts of the team to drive the flow of information efficiently for my clients. I hold myself accountable to the same standards as everyone else. I never ask more of the team than they can ask of me. I become the information hub for the project team. We get things done because we all work well together. I feel that the clients, designers, builders, and architects all understand that this teamwork is what makes a project successful. I’ve been described as a “sounding board” for clients to gain peace of mind that they are making the right decisions. I’ve been described as a good “translator” who can communicate the complexities of construction in a way that our clients can appreciate and understand. And lastly, our service has been described as a “funnel“ that distills the broad scope of project information into manageable chunks. We take out the noise of the day to day and help our clients focus on only the critical items that demand their attention and feedback. Getting to know my teams and my clients is what I enjoy most of all. From the smell in the air when the first shovel hits the ground, to the time when we are celebrating the completion of a project with a cold beer—the relationships that we build, the lessons that we learn, and the obstacles that we overcome along the way are all absolutely thrilling. When I can bring my kids to look at these amazing projects and see the awe and admiration in their faces for the work we participate in, it is truly enjoyable. I watched my family build their dream home and I was hooked. I wanted to know everything about it– what worked, what didn’t, how to do it better, etc. I knew then that this was what I should be doing. Don’t ask me to draw or build anything, but tell me you need help managing the process, and I’m in. Coaching ice hockey and trying to play more golf. Thank goodness for Sirius Radio in our parts. There are a half-dozen go-tos that I find myself jumping between: The Grateful Dead, Yacht Rock Radio, the PGA Channel, CNBC, and The Today Show. If the Cubs, Blackhawks, or Bears are playing, however, those will be on. Golf! I love the challenge of getting better, and what you get out of it is all up to you and what you put into it. I really enjoy playing with my wife and our extended family and good friends. To me, the mental escape is always a great reward at the end of the week. In the winter, we try to get out and ski as a family. My kids make me laugh constantly! That and “America’s Funniest Home Videos”—who can’t laugh at that? The Malmquist Construction name is synonymous with quality. Since the first day they opened their doors, they have maintained a commitment to using the finest of materials, craftsmen, and personnel, all the while focusing on quality, budget, schedule, and customer satisfaction. Malmquist Construction keeps the surprises at bay by managing each project individually and communicating with customers. Malmquist Construction is a luxury home builder that has also been fortunate enough to be involved in a variety of high-end commercial buildings. We like to be engaged in the building process from conception through completion. 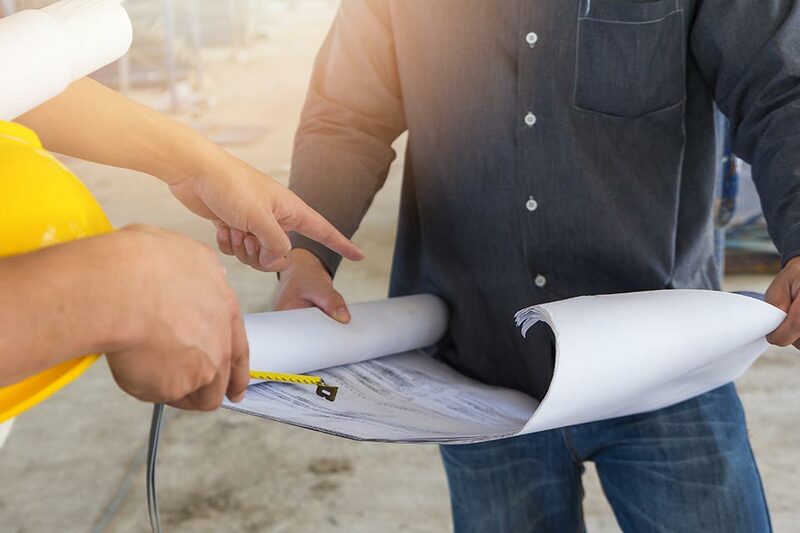 We bring value to the project in the design stage by providing guidance on the budget as well as design relationships as plans start to get developed. We also like to be involved in the product selection process for the finishes that are being selected for the project. We have been very fortunate to build primarily in the Whitefish area. Many of our projects are located within a few select subdivisions around town, including some very fun commercial buildings in downtown Whitefish. I acquired my passion for building custom homes when my father and I built our first home in 1996 on the 14th hole of Whitefish Lake Golf Course. We built a second home just before I headed to Texas where I received my finance and accounting degrees from the University of Texas at San Antonio. Upon graduation, I was hired on as Superintendent for Mercedes Homes where I worked my way up to Vice President of Construction just before my wife and I decided to come back to Montana. We moved home in 2008 and I began working for a commercial builder at that time and gained a great deal of experience in the commercial building industry. Building custom homes is my true passion so I decided to get back into focusing mainly on custom homes. I couldn’t be more proud of Malmquist Construction and what this company stands for today. we get the privilege to work on. Typically, we are brought onto “the team” at the very beginning of a project. We work directly with the client, architect, land planner, and interior designer to collaboratively design what the owner has as a vision. During the actual construction of the project we continue to work with the “team” approach and keep everyone involved throughout the entire building process. Our team of project managers is diverse and all have the education and/or experience to cover almost every aspect of the building process. Bear is our “veteran” and provides a wealth of knowledge in the building industry. Boon comes to us from one of the largest construction companies in the world and is very process-oriented and experienced. Paul has his masters degree in Structural Engineering from Auburn University and helps the team with any structural needs. Wilson is a master carpenter and can find a way to build anything the owner can dream up. Hayley is extremely detail-oriented with the billing process and provides the most accurate and transparent pay applications every time. Malmquist Construction has been involved in many different projects over the years. 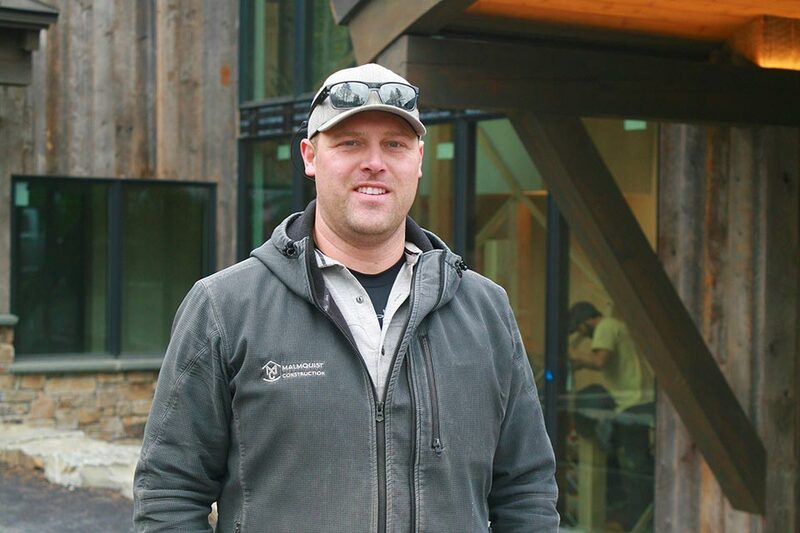 We have had a project featured in a television show, “Epic Log Homes”. We were involved in the entire development of a 1,500-acre ranch that consisted of a main house, 12 other buildings, ponds, bridges, wildlife refuge area, and many other unique elements. We are proud of every home we build and feel privileged to have had the opportunity to do so many projects in this wonderful ski town. What’s the difference between good construction and great construction? The difference between good construction and great construction is the workforce that is hired for the job. Malmquist Construction doesn’t hire the first available or the absolute cheapest sub contractor, we hire true craftsmen who take as much pride in the work performed as we do. It’s the attention to detail in the items that you can’t see—we make sure that every stud is perfectly straight, every bracket is securely fastened, the insulation is installed properly, the windows and doors are installed correctly to prevent air and moisture leakage—we do the right thing the first time. What’s the most exciting new product or development in your field? New products are constantly being introduced in our industry. It’s fun to find new applications for some of these new products coming out. The current fad is concrete and steel. We are implementing concrete and steel into countertops, fireplace surrounds, and even siding. I’m intrigued by the technological advances of the mechanical and electrical systems that we are seeing today. When you can operate everything in your home from your cell phone, that’s pretty cool. There is a single app that can turn on/off and dim your lights, operate your in-house stereo system, operate your TV, light up your gas fireplace or firepit, open/close the blinds, view the security system, control your HVAC, turn the water supply off to the entire house, and many more functions. The thing I enjoy most about my job is the people I am surrounded by on a daily basis. Building in a small town provides for long-term relationships with coworkers, clients, subs, suppliers, and design teams. Oftentimes our kids are in school and sports together, our spouses hang out on weekends, we stop to chat in the grocery store, we encounter people we work with outside of the project boundaries. My kids make me laugh every day. I enjoy watching them create new words and facial expressions that I have never seen before. Fall is my favorite time of year. I enjoy the warm days and cooler nights. There is nothing better than sitting around a campfire with friends and family in mid-September. Montana has everything to offer that I enjoy and being able to have a career in Montana is a true blessing. We have such a wonderful diversity of outdoor activities right outside our back door. From fly fishing the rivers and streams to skiing the Big Mountain, we keep ourselves pretty entertained all year round. Zetooney Hanson Interiors is a hands-on interior design firm based in Whitefish, Montana, specializing in residential and commercial design. The firm’s principal designers, Jennifer Zetooney and Shaina Hanson, are dedicated to providing a pleasant and inspiring design experience for each client. ZH offers an expansive resource library, where you can find furniture, fabrics, trims, and wall coverings in any style. Maintaining relationships with a variety of furniture, lighting, and fabric manufacturers is important to the firm, as well as staying on top of new and innovative materials. 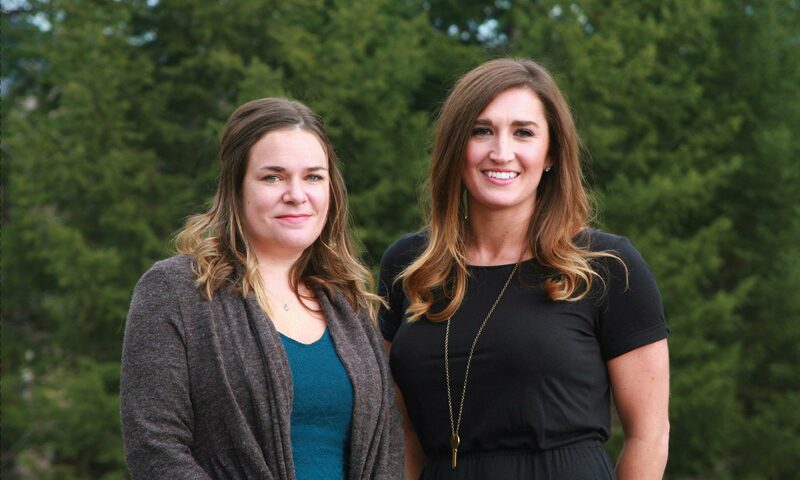 Jennifer and Shaina work side by side with clients, builders, and architects to create a harmonious, functional environment that suits each client’s lifestyle and vision. Collaboration and building trust are essential in making each project run smoothly. The firm’s scope of work ranges from small to large projects and includes new construction, remodels, re-decorating, holiday décor, staging, and design consulting. Our services range from full-service to à la carte design. In other words, we can design and manage your entire project or simply help with selecting paint, window treatments, or furniture. Designing is what we love to do, whatever form that takes. Most of our clients are in the Flathead Valley and Seattle areas, but we are never limited by distance. We can design projects anywhere. JENN: I graduated from the Fashion Institute of Design and Merchandising in Los Angeles, California, in 2002 with an Associate of Arts degree in Interior Design. During the early years of my career I was a design assistant and project manager for Bussell Livingstone Interiors. We focused on high-end residential design and construction in Los Angeles, Hollywood, and Malibu. My mentors, Janet and Barrie, taught me about adapting design into any style, client relationships, construction, and project management. Our projects were for a range of high-profile and celebrity clientele as well as episodes on HGTV’s Designer’s Challenge. After moving to Montana, I started Zetooney Interiors when I got the opportunity to do the interior design on Casey’s Bar in Whitefish. This project expanded my knowledge base of commercial design and expanded my interest in that side of the business. SHAINA: I graduated from MATC in Madison, Wisconsin, in 2007 with an Associate of Arts degree in Interior Design. Upon graduation, I had the privilege of working for two completely different and unique high-end furniture and art galleries. One specialized in Amish-made furniture, where my early appreciation for wood and skilled craftsmanship took hold. The other, a modern furniture gallery, was where I gained a plethora of product knowledge and exposure to unique manufacturers, along with the opportunity to lead the visual display for the four storefront window displays. 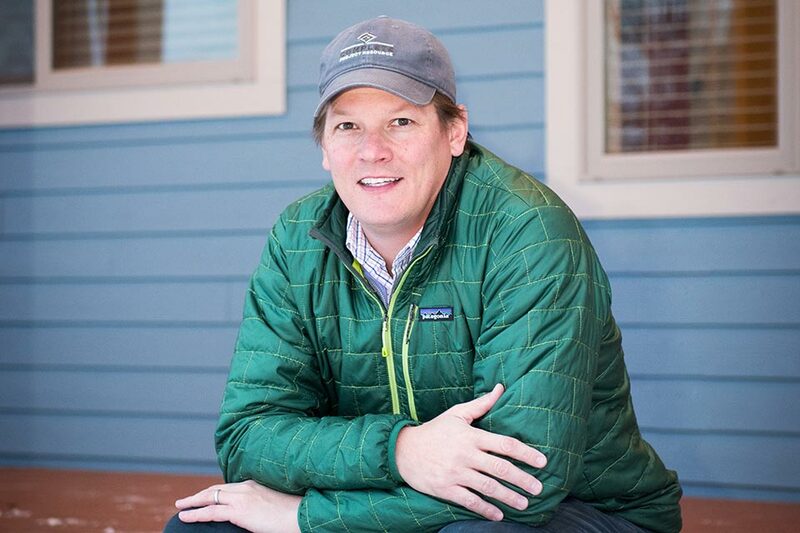 After moving to Montana in 2009, I became a lead designer for a local design firm, and had the opportunity to work on some amazing projects ranging from high-end vacation homes on Big Mountain and Iron Horse to boutique hotels. When did you know you wanted to be a designer and what motivated you? JENN: Ever since I was little I was passionate about creating art, space planning, investigating the why and what’s possible. I rearranged my bedroom weekly, no joke. I was in my first year of college studying criminal justice and had big plans to join the FBI. A friend of mine told me about an interior design trade school in Los Angeles called FIDM (Fashion Institute of Design and Merchandising). I had no idea about the scope of what interior designers do, or that interior design was even a career option. After some investigation, I knew that I had found what I was looking for and my passion. I made my appointment the next week for an entrance interview to FIDM. As they say, the rest is history. SHAINA: I always knew I would be in a creative field as I enjoyed crafts, knitting, sewing, and fort building from a young age. I would rush home from school to catch the end of “Trading Spaces”, to see what kind of innovative, sometimes crazy, ideas the designers came up with that day. Seeing how interiors can evolve and affect each individual was a great motivation to further my education in interior design. SHAINA: My clients inspire me, as well as the creative and talented woodworkers, artists, and skilled trades in the valley. Anything is possible! We feel that hiring an interior designer will become even more mainstream, meaning our scope of services will evolve to reach the masses. With technology advancing, clients have access to so many design ideas and resources online, which makes the discovery process easier for us because they’re so well prepared. This creates the perfect “design consulting” environment. We come in, talk through the design plan, offer advice on adjustments that can be made, and help narrow down materials and colors, which gives clients added peace of mind. It’s this efficiency piece that can save time and money for young families, first-time homebuyers, or retirees. We want them to know that they too can “afford” a designer. I really enjoy getting to know each client’s personal style and seeing their visions come to life. It’s about collaboration, discovery, and developing trust. You know you’ve reached your goal when your client’s eyes light up. “You get me, that’s exactly what I envisioned but I couldn’t have made it happen on my own.” That’s a great day. What project are you most excited about now? SHAINA: Right now, I’m most excited about a complete remodel/addition on an 8,000-square-foot home that is being passed down from generation to generation. It’s fun to see the changes that evolve from one family member to the next, and having that individual put their own spin on their “Montana getaway.” On this particular project the homeowner/builder has given us free creative license to design without limitations, which allows us to do what we do best, and we can really get creative. One thing that sets us apart is that we work with AutoCAD and Sketchup in-house. This gives us the ability to be as efficient as possible, as we can update drawings while in client meetings to help facilitate the best use of time, with a visual aid for the client to feel comfortable with. JENN: I am proud of every project in my portfolio. I put my heart and soul into all of my work. On my design “bucket list” was to design a bar and nightclub. Casey’s Bar in Whitefish checked that box for me. I enjoyed this project tremendously. There were so many great design elements and challenges we addressed as a design team. The finished product is an amazing landmark in our community. JENN: The design principles that inspire me are a timeless, neutral palette, clean lines or soft curves, and pops of color. In every design, I love incorporating natural textures. Some examples are bamboo shades, natural stone, carved wood pieces, and woven fabrics. I feel that textures bring life and dimension to a project. These materials provide a natural and inviting feeling in any space. SHAINA: I love herringbone patterns, especially with tile. It can make such a statement, even with the most basic materials. Global fabrics and rugs are my go-to. They can add a warmth like no other when used in the right context. JENN: I believe that great design is in the small details of a project…making sure that everything flows to create harmony. It is also important to think outside the box, to create something new and inspiring. Inviting, refreshing, cohesive, with great flow. JENN: I really enjoy getting to know each client’s personal style and seeing their visions come to life. It’s about collaboration, discovery, and developing trust. You know you’ve reached your goal when your client’s eyes light up. “You get me, that’s exactly what I envisioned but I couldn’t have made it happen on my own.” That’s a great day. Everyone knows what they want, their likes and dislikes. They just need help to extract and execute the vision. Every great design is a collaboration between designer and client. SHAINA: If I wasn’t an interior designer, I would probably be a lawyer or an investigator, although I don’t think I would be happy unless I was creating or working with my hands. SHAINA: I like to listen to a variety of music while working, but it depends what the task at hand is…if doing an install, upbeat music is a must. If at the office, then Pandora plays a mix—from classic rock to Ben Harper. Favorite sport or recreational activity, and what do you enjoy about it? SHAINA: I love huckleberry picking with my dog, Paisley, in the summertime. I do the picking, while she keeps an eye out for bears. We make a great team. JENN: Summer is by far my favorite season. I’m sure it’s my California roots because I just love the sun. The weather here is perfect, and everything comes to life. With all the lakes and mountains, you have so much to enjoy. It’s time for family camping trips, long beautiful hikes, and amazing boating days. SHAINA: Summer of course! The days are so long, perfect for a relaxing float down the river, golfing, or huckleberry picking. I just wish it lasted longer! What do you enjoy the most about living and working where you do? JENN: Nothing compares to living and working in Whitefish. There is something so calming and inspirational about this place. I’ve always been inspired by nature. Living around so much beauty year-round is amazing and soul-inspiring. I have a very active family life. I get to enjoy boating, fishing, hiking, camping, snowboarding, and skiing with my husband and three kids. I can’t think of a better place to live life and raise a family. I feel truly blessed. SHAINA: Since moving to Whitefish, I have had great opportunities that I probably wouldn’t have had if I were still in Wisconsin. It’s given me the chance to live in one of the most beautiful places, and it also allows me to work for myself, creating and collaborating on amazing homes. JENN: My favorite vacation spot by far is Tahiti. I have many amazing memories of my honeymoon there. What a spectacular place. The beaches are breathtaking, the water is always warm and clear, and the locals are friendly. Not to mention, the Tahitian culture is peaceful and genuine. My husband and I always tell our kids we’re moving to Tahiti and living on our own private island when they move out…plus it’ll give them an incentive to visit us in our old age. Genius, I know!